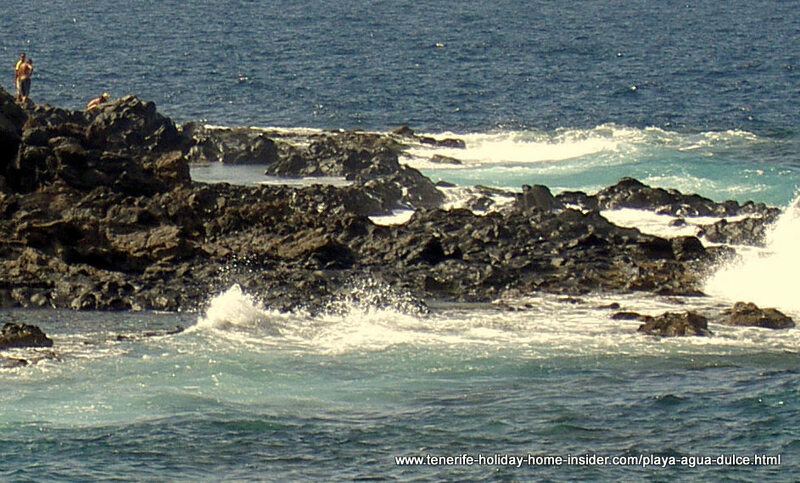 Playa Agua Dulce beach at Los Silos West Coast Tenerife. Playa Agua Dulce getting better for Tenerife holidays by the year. Playa Agua Dulce ( sweet water beach) is a Los Silos Tenerife isle Westcoast shore line which is very close to the intriguing Teno mountain range. The somewhat virgin seashore Playa Agua Dulce seemed to be rather an insider beach for a quiet swimming vacation and water sports in the past. 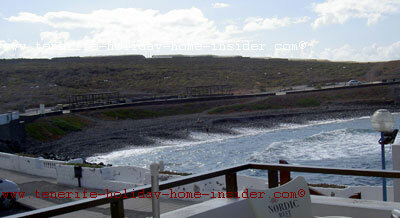 Now word got around and golfers from Buenavista del Norte rent the Tenerife holiday home there in winter. 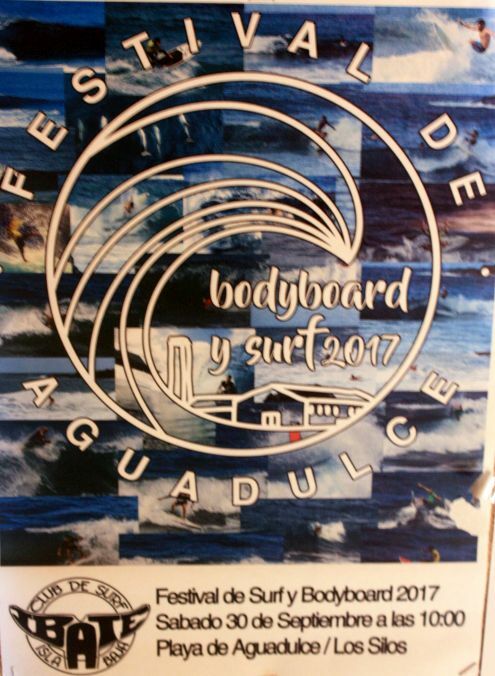 Agua Dulce beach surf and bodyboard festival. When? On Friday September 30, 2017 at 10 a.m.in the morning, as shown in the poster below. Bodyboard and surf festival los Silos Tenerife poster. Still wondering where this place could be? Hot tip for an awesome accommodation nearby. 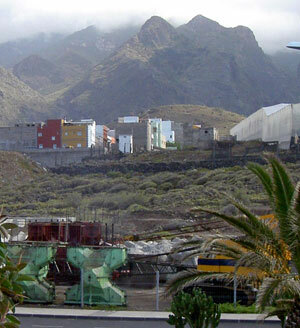 The Hotel San Roque Hotel San Roque Tenerife at the fairytale town Garachico is not only a must see place in Tenerife. It's the best you may get for sleeping over and pampering yourself in the golf region Buenavista not far from the sweet-water beach Playa Agua Dulce. Laurisilva forest Monte de Aguas. The coastal road above the beach ends just above the famous Araña rock pool. There I could make out a few cars parked in the road's dead end. It does not take you to the lighthouse. Later in 2011, one could spot a strange rather interesting Los Silos street art by this look-out above the beach Playa Agua Dulce. The beach sculpture seems to copy the life-size fossil spine of a whale and is erected above a little resting place with benches. However, the seashore by this fossil is beach Playa de la Araña. This Los Silos beach which looks like 150 meters long, only, showed a pebble section, in May. They told me, however, at the bistro restaurant nearby where we had 3 good cheap tapas dishes with a small bottle of water and a coke for EU 12 that Playa Agua Dulce has black sand in summer. Beach Agua Dulce Tapas or Restaurant ? Don't be put off by the looks of the restaurant. This is not the Abama golf club. As said, we were not impressed with the Agua Dulce Restaurant, but people seem to be happy with it, you know. Also, there may be a Karaoke Disco attached at night. Building equipment for beach improvement. Locals say that the sweet water beach is never really crowded because, it's not on many tourist maps. Also, you drive down a very long road from the old town los Silos to get there. Now, many residents prefer the new lido beside the beach. Pictures of it with its stunning back ground landscape may be seen soon. In 2011, I encountered the Beach Playa Agua Dulce with a face lift. No more heavy road working machinery was there. Instead, we discovered some pretty landscaping with some basic jungle gym equipment next to the lido pools on this beach. By the way, the Playa (beach) can be reached with bus line Titsa 365 once daily in case you stay at Buena Vista. Not operating on week-ends or holidays. When looking past the sea gull from the large beach restaurant over the quiet ocean towards a narrow land outcrop stretching into the Atlantic I could make out a couple of fans of Tenerife fishing with their rods trying to catch some ocean bounty. Playa Agua Dulce charco or Charco de Don Gabino. I must confess that I am not sure how they really name this natural swimming pool near Garachico. It is also known as Charco de la Araña which means spider pool. No name is published near it. Anyway, this is a small rock pool and one of many natural pools of Tenerife in Spain. This 'charco' (rock pool) is just below the fishing spot which makes an additional feature for this Los Silos beach. The only building by the beach has sort of a round dome. It's housing the restaurant as well as a gymnasium. Behind it is kind of a lido whose main section looks more or less finished in the photo show. Lido of Playa Agua Dulce. The Lido Los Silos has a large square swimming pool bordered by low white walls. Some black lava boulders are inserted and break the monotony. The view of ocean and Mount Monte de Aguas in the distance is stunning. Wall to wall tropical banana plantations form an amazing contrast to the somewhat wild seashore of the Aguas Dulces the sweet waters. The skyline of Los Silos stretches out in front of the slopes to the north. Entrance to the pools was EU 1,80 for adults at the time and may have changed by now. Decades of Los Silos beach visits by a fan. By the way, my elderly British friend Elizabeth, an expat, seems to be an expert of anything to do with caring for health and a great fan of the pools of Beach Agua Dulce. She is over 70 or 80 years old, had her second knee Operation, but drives almost every day to swim in the Los Silos beach pools. Elizabeth doesn't mind the way from La Longuera Realejos to Los Silos. She doesn't mind to go through at least 20 coastal road tunnels on her way to Los Silos. What looks like a children pool separated by a makeshift wall from the main pool was not open for the public, last time I saw it. Now, in 2018, Playa Agua Dulce is looking good with its wonderful pools by the Marina is looking good. 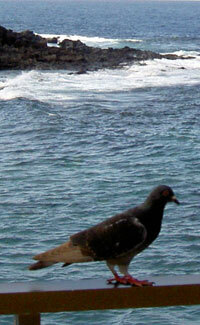 From Playa Agua Dulce to Tenerife beaches.